R&A overhauled our garden in December 2015. We had lots of ideas about what we wanted, but R&A were really helpful with finalising our plans into something workable and helping us to work to the budget we set. We worked together to decide on materials and compare material costs, to the extent that it seemed unnecessary to me to seek other quotes as the cost build-up was very transparent and easy to tweak till we were all happy. 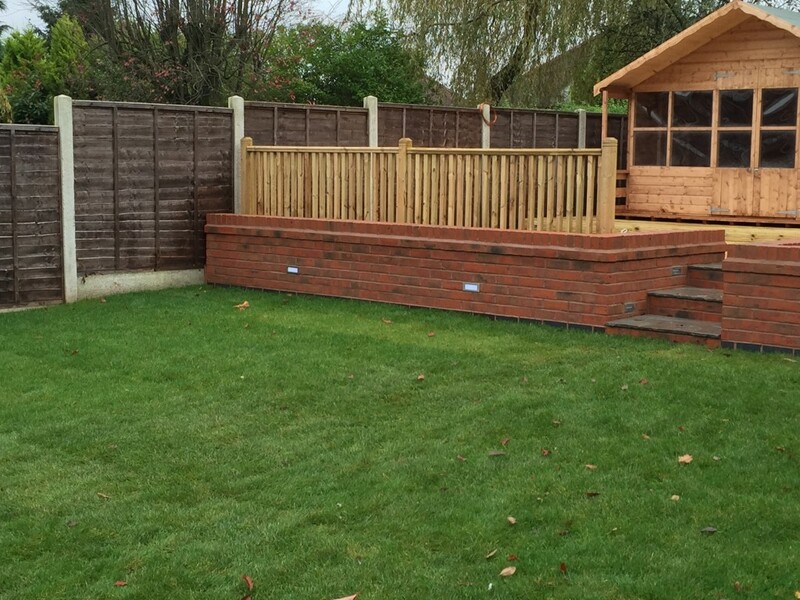 We settled on new paving, large planters made from sleepers, Astroturf and a pergola. The process of having the work done was easy and hassle free. The guys were a pleasure to have around, they started and finished on the agreed dates, worked so hard through the cold and wet weather and dark afternoons and produced a lovely new garden for us. There was no mess or disruption for us (which was great with a 2 year old and a 4 year old around) and the end result is exactly what we wanted. I thought paving was paving, but getting some nice quality stuff laid properly makes a massive difference. Can’t recommend them enough. Now the warmer weather is getting here we’re all enjoying our new garden and it looks great. The astroturf dries quicker than grass would, so the kids are loving it and don’t come back all muddy! It’s great. Thanks again Rob and Adam! Helen. Can't thank you all enough for your hard work and for giving us the garden we have dreamed of for so long. Faye is great, professional, friendly and very helpful. Rob and Adam are very pleasant to have around and have worked closely with us so that our very specific requirements could be realised. Thank you all for your patience, attention to detail and working hard to get it just right for us. We couldn't be happier and have no hesitation in recommending them. Thank you! Thank you so much for transforming our garden into a space that was exactly what we wanted! Adam and Rob worked incredibly hard, were professional throughout and gave us lots of advice at various stages when our ideas slightly changed. Would definitely recommend. Had this firm in after we had another crew in first and asked them to leave. Never a truer word said you pay for what you get! We found them hard working, polite and willing to help with discussions on making our dream garden, which as you can see turned out truly amazing in our eyes (Project 3). I can only thank them for an amazing job and will highly recommend Rob and Adam to friends family . 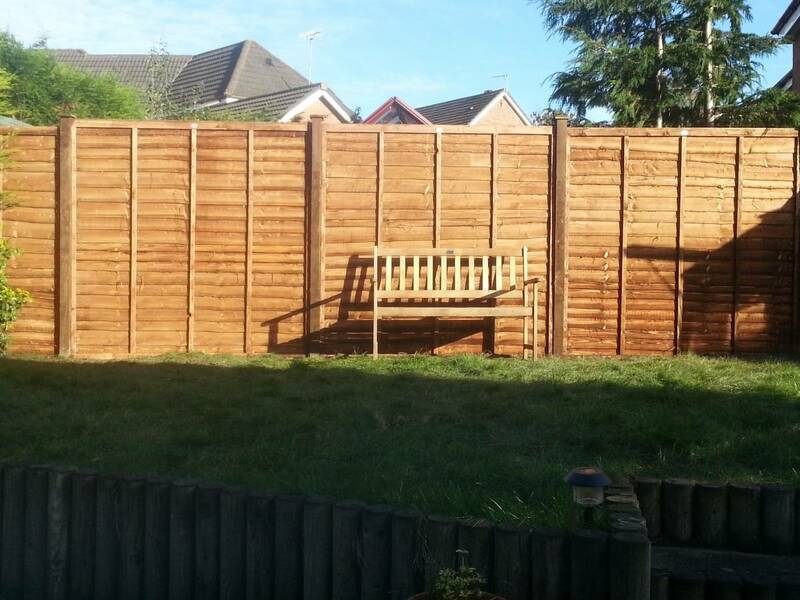 Rob and Adam worked really hard and created a real focal point in our garden. 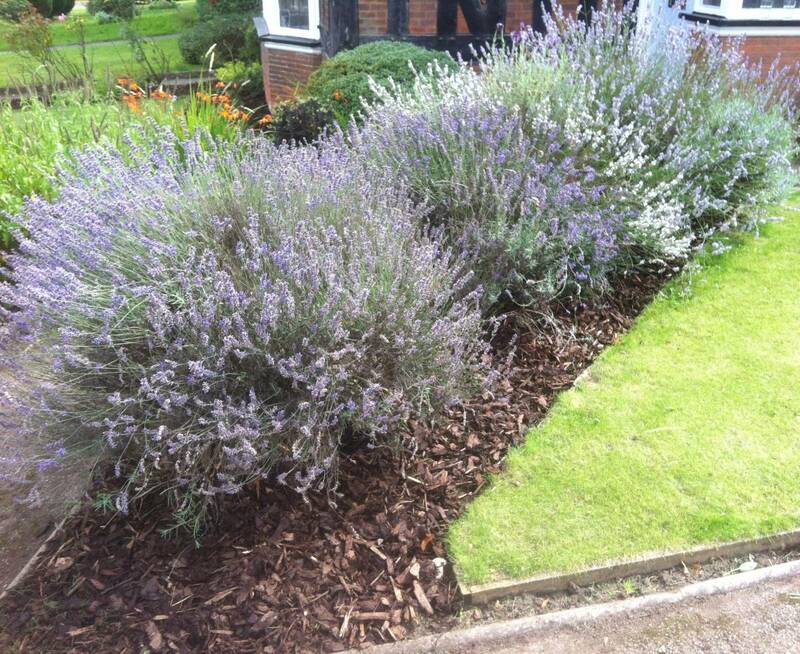 We are very pleased with the final look and have enjoyed planting out our borders. Good bunch of lads. Trustworthy, reliable and skilled at what they do. Very pleased with the work they did for us. Would have no hesitation in recommending them and wish them all the best with their business. R & A initially quoted us to give our back garden a complete makeover. We decided not to use them as we went for a cheaper quote, big mistake!! We had to sack that person and went back to R & A. After taking a look at what had been done so far, it was decided we would start all over again. We had to wait for them as they were so busy but it was worth the wait. They finished our garden yesterday and they have done what I can only describe as an amazing job. Due to their experience they were able to advise different ideas that worked and added to the design, their attention to detail is second to none. They discuss everything with you as they go along. Both Rob, Adam and their crew conducted themselves in a professional manor at all times. Their work ethic is incredible and this shows in the results. From what started as a complete nightmare has turned out to be what I can only refer to as my dream garden. Lesson learnt, don't go with the cheapest because these lads are worth every penny. All I can say is well done and a huge thank you. 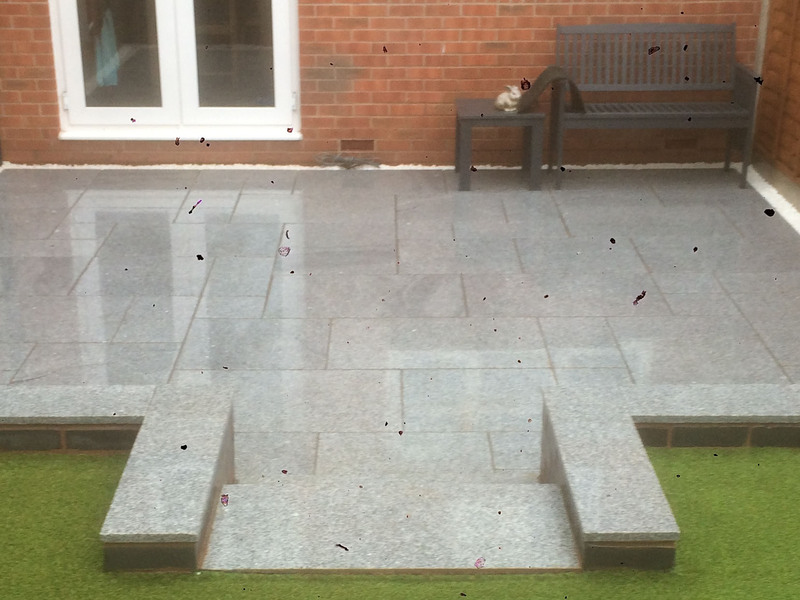 From start to finish Faye, Rob and Adam have delivered a first rate service which has culminating in a new patio and veranda that has transformed our garden and created the additional 'room' that we dreamt of. We would have no hesitation in recommending them. Rob, Adam & the crew did a Terrific job on our back Garden. 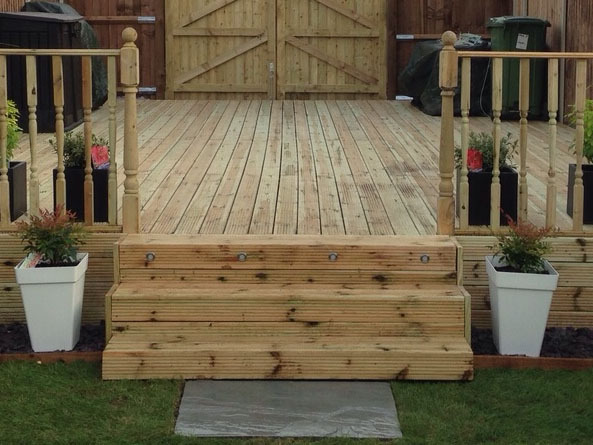 The standard of workmanship and attention to detail, couldn't be faulted. Not the easiest time of year for heavy landscaping with Rain, Snow & Ice hampering the project. Even so they still sorted it all out with a friendly and positive attitude. The Quote was very competitive and we are over the moon with the final results and would highly recommend them for any garden/landscape projects. From start to finish this task was made easy by the lads approach. Great communication, spot on quote and excellent quality of work and materials. The lads were a pleasure to have around giving advice on all aspects of our complete garden makeover. The end result exceeded our expectations! We cannot recommend the lads enough!! !